The latest census data from 2011 show that nearly 4 in 10 South Africans are under the age of 19, and nearly 6 in 10 under the age of 30. While this considerable youthful workforce – estimated at more than 30 million people – poses tremendous opportunities to the South African economy, absorbing such a large group into the formal workforce while ensuring adequate skills transfer will be one of the defining challenges of our time. The growing skills deficit is not only due to the poor level of basic education so prevalent in the country. Skilled workers are leaving the country in their thousands to pursue lucrative careers in other countries. StatsSA’s Community Survey 2016 found that over the ten-year period between 2006 and 2016, more than 100,000 people emigrated: a quarter of those left in 2015 alone. Popular destinations are Australia (accounting for 26% of emigrants), the United Kingdom (25%) and the US (13.4%). The loss of young workers also points to a growing gap between the older, experienced professionals currently employed, and the large young group of millennials set to flood into workforce over the next decade. According to data, most emigrants are qualified, skilled professionals aged 25-39. In Australia’s 2011 census, for example, 63% of South Africans living in that country were found to be employed in either skilled managerial, professional, or trade occupations. Despite the challenges posed by an inadequate education system, South Africa still consistently produces some of the most innovative and successful professionals in the world. While the likes of Elon Musk, Mark Shuttleworth, and Dr Christiaan Barnard are known globally for their inventiveness and prodigious skill, South Africa is littered with examples of talent that match the best in the world. For example, Amazon’s plans to open a new development centre in Cape Town continues the company’s love affair with South African skills: its Amazon Elastic Computing Cloud (EC2) a core part of its Amazon Web Services offering which accounted for 89% of the company’s overall operating profit in Q4 2017, was built in Cape Town by a team co-led by South African Willem van Biljon. Such pockets of excellence exist in all spheres of business, from retail to financial services to manufacturing. Our collective ability to absorb the knowledge and experience of our most skilled workers and share that with new people entering the workforce will go a long way to facilitating our economic and social progress. Machine learning and AI is set to disrupt the notion of work in unprecedented ways. Despite the concern of many that machines will take their jobs, what is more likely to happen is that the automation of repetitive tasks through artificial intelligence will free up human ingenuity for more meaningful, high-value creative and strategic pursuits. More exciting for our market is AI’s potential to facilitate skills transfer between experienced workers and their new, younger peers. 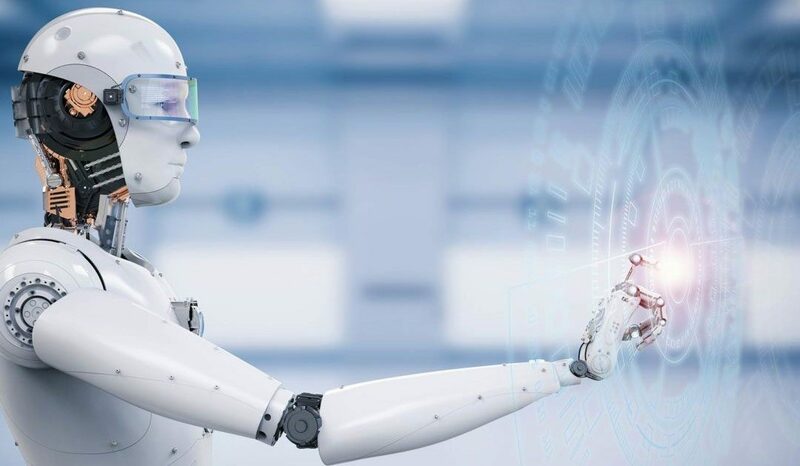 AI is currently deployed to automate repetitive tasks, such as quality control processes in a manufacturing context, and programmed to consider a predefined set of variables and uncover links between faults and the available data. The AI analyses the available data and provides the quality control inspection engineer with a set of alerts or markers where inefficiencies or faults may occur. Once the engineer confirms that the insights gained from the AI’s analysis are accurate, those insights can be stored as learnings within the AI. What makes this exciting is that AI doesn’t rely on a person’s memory or experience: instead, it becomes an accurate repository of all process data and insights, including the learnings of the most experienced humans using the system, which can be used to augment new staff members’ skills and knowledge. AI stores the most true, accurate and effective version of a process, solution or answer based on the collective knowledge of the people interfacing with the AI as well as its own process data. It becomes a perpetual gatherer of historic learnings that any staff member can access without loss of context or meaning. In much the same way as AI was taught chess until it could beat chess grandmaster Garry Kasparov in the 1990s and then go on to teach other chess players what the best possible next move is, AI in can take learnings from manufacturing processes and input from engineers to achieve optimal productivity with minimal faults. This knowledge is retained within the AI and shared with new members of staff, who shortcut the learning curve to get straight to the point where all processes run optimally. And as the new staff encounter and overcome previously unforeseen problems, those learnings are again stored within the AI. The AI becomes a conduit for continuous improvement at a rapid scale, something that is unimaginable using manual skills transfer techniques. Our new national leadership should not see AI as the enemy of employment. Instead, they should see it as a tool for taking the skills, knowledge and experience of our best and brightest and sharing that with new workers entering the world of employment to ensure we all take the best possible next step for our future success.